You finally open up that restaurant of your dreams. You’ve been working in other industries and finally decided to take that leap into restaurant ownership. Or maybe this is your next concept and you’ve seen the success of similar cuisines in your industry. Or maybe you’re a chef who is finally excited to be opening up his or her first restaurant. This mindset is a dangerous one to fall into because there are only two ways to truly compete against another similar concept. Do you know what they are? The first way to compete against a similar concept is through price. You could source cheaper ingredients from different vendors. You could pay your people the bare minimum while curating a menu that is of low cost to make but of high-profit margins. This way you could blow your competition out of the water. But, as the years move forward, consumers have gotten more and more conscious about what they’re putting in their bodies. They are looking for meals that use real food and fewer preservatives. They want to be able to taste the flavors that come from the food and have an experience they can’t replicate at home. People aren’t looking for the cheapest restaurant around. If you compete through price, you are pigeonholing yourself into a very shallow hole. What happens if the ingredients increase in price and you’re no longer able to serve cheaper products? But, you’ve already trained your customer that you will always be the cheapest option, so now you would be losing customers because you’ve raised prices. When you compete through price, there’s only so far that you can go. You have to increase your consumer volume in order to make up what you’re losing by not charging what you should be. If price is one way to compete, the other way to compete is to focus on quality. This type of competition has been increasing more and more lately because people are more conscious about what is going into their mouths. They may fight you on the price from time to time but will accept it as long as the quality is communicated to them and they can taste the difference with quality ingredients. When your restaurant focuses on quality, you have more wiggle room, because quality isn’t just about the food anymore. It’s about the total experience. I went to Houston’s the other night with some colleagues and they are absolutely one of my favorite restaurants because the experience and the quality of food are impeccable. It doesn’t matter what time of day I go and it doesn’t matter who is tending my table, the quality of that experience is always a slam dunk. What was interesting was my colleague looked around the room and noticed the younger crowd that was in the restaurant. The prices weren’t cheap by any means. Plates ranged from $20-$40 per plate, but their edge is that they compete with quality and they are always busy. On the flip side, a similar restaurant decided to compete and focused on quality of food only. The service was horrendous and the prices were astronomical for the food that you were getting. They didn’t even make it a full year before they closed down, but they thought they could compete solely based on the quality of food. Your business will not survive if you focus on competing with others around you. The biggest mistake that restaurant owners fall into is that they don’t think about the story that they want to tell their customers. There’s nothing compelling potential customers to come into their restaurants. They started the concept because they thought they could compete against someone that was doing a mediocre job, but that’s all that was thought through. They were so focused on competing against someone else that they didn’t think about the story they wanted to tell to their community. Mendocino Farms is a prime example of how storytelling and creating an exceptional experience attracts people from all over into their restaurants. I went to one of Mario’s leadership retreats a few years back when I was first promoted to a director of training position. The CEO of the company I worked for was good friends with Mario del Pero and appreciated the way he led his team and wanted me to see first hand how to create a culture that made raving fans out of the employees. After introductions and celebrations of people that were promoted into the new leadership roles, Mario started talking about the Mendo story. The thing that stood out to me wasn’t their focus on quality sandwiches even though that’s their product, it was their focus on community. He said their mission was to become the community hangout spot, so everything that an employee does is to bring that aspect of a community into his restaurants. It sounds great on paper, but was it actually implemented in the restaurants? I can happily say that YES, it does happen in the restaurant on a daily basis. I saw a group of people hanging out and one person didn’t have any food. They brought in food from elsewhere due to dietary restrictions but had a drink that was empty. Instead of throwing it away, a Mendo employee came up and asked them if they wanted a refill. Confused, the customer said they didn’t get anything to drink from there. But the employee smiled and said, but you came with friends that are hanging out, we want you to hang out with them and enjoy your experience. In that split second, that person [with jaw wide open] became a raving fan who I’ve seen back in that same store time and time again. You see, the product that you serve is secondary. It’s the experience that you provide and the story that you tell that will get people to come back again and again. Let’s just be honest about something. Restaurants have been around for a long time and every style of cuisine has been a clear focus. I don’t believe there’s a cuisine that hasn’t been appreciated in restaurants, so how can you stand out if you want to open up a burger joint? How can you stand out if you’re looking to open up a new pizza place? How about a bar? Something that’s important to understand is that you can’t just focus on competing because if you opened up the same exact concept close by one that has been around for a while, chances are you’ll lose. You have to figure out what’s going to set you apart from any other restaurants out there that are currently doing what you want to do? Five Guys did that with their peanuts while guests were waiting. They knew that customers would grow impatient because they were used to burgers coming up quickly. They not only put self-serve peanuts in the dining area (and at the entrance of the line) to keep people occupied and satisfied, it also is a smart marketing trick because chances are, they’ll be thirsty by the time they get up to the cashier. It’s a great way to maximize the amount each guest is spending at the restaurant. That wasn’t their only unique angle. They also started getting their potatoes from various farmers and promoting the farm or city in their stores. It shows that they are transparent with what their processes are and tells the customer the story that these fries you’ll purchase are helping families sustain a living with their farms. When you have a story that your customers can fall in love with and have a unique angle on a concept or cuisine, you’ll always win. 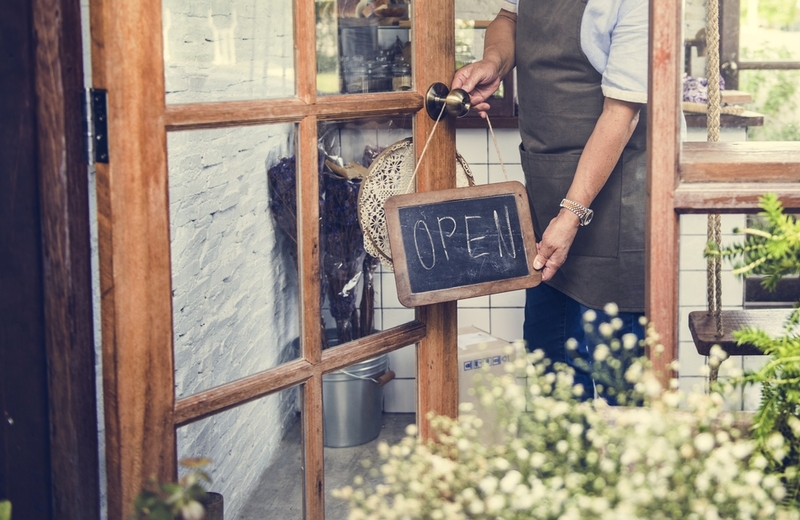 As long as everything else lines up and you run the business effectively, you’ll always be able to win customers and create a sustainable business.